Medbelle is the first digital hospital. In only 2 years, we have established ourselves as a provider of medical procedures in the UK. We streamline the entire patient journey through our fully vertically integrated online platform to deliver a friction-less treatment experience for patients and providers. This includes patient education & data, communication, pricing, booking and scheduling. Meanwhile, our platform reduces workload and optimises utilisation of specialist doctors and hospitals. 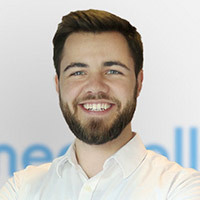 Daniel is a tech entrepreneur and Co-Founder/CEO of Medbelle. After selling his first company, he started building the world’s first digital hospital. Daniel strongly believes good health is the most basic human need, yet, healthcare is still stuck in the last century. To change this, he supports the digitisation of healthcare outside of Medbelle as a mentor for Startup Bootcamp’s Digital Health accelerator. Prior to this, he gained international experience in the startup ecosystem and management consulting after having studied International Business, Economics and Psychology.